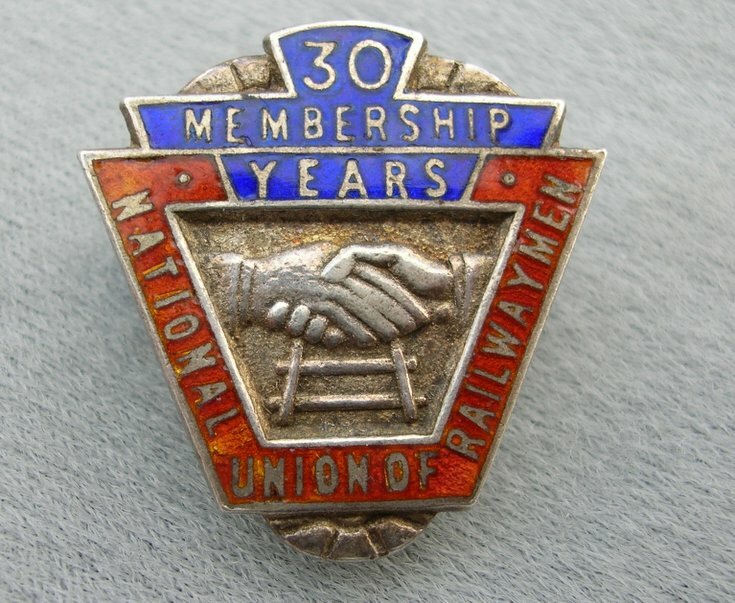 Colour photograph of a 30 Year Membership Badge, National Union of Railwaymen awarded to James Matheson. The badge was presented in a red box with lettering 'NUR'. James was an engine driver and sometimes worked on the Dornoch branchline.